I had the pleasure of photographing Janina and Steve's wedding yesterday at Combe Bank School in Sundridge, near Sevenoaks. The weather was diabolical in the morning with torrential rain and gales. The afternoon, however, was beautiful with the most amazing light - probably the best light I've encountered in 2010. 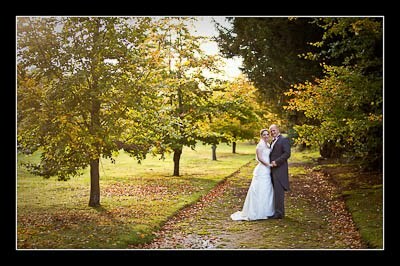 Combe Bank School is a lovely venue and the grounds looked gorgeous in their autumnal glory. I've finished post-processing their wedding photos - please check out their wedding gallery. For non-Flash compatible devices please use this gallery.